I didn’t open the box right away. When I did, I opened it up over 3 nights. I didn’t finish until just now. This is one of those products that covers both the 2011 and 2012 draft which was a big draw for collectors. For the most part, the packs came at one insert per pack. The packs that lacked the insert were those with the so called boards of death; you have to punish pack searchers somehow. I have to admit the inserts were annoying. They were the only card in the pack that was flipped and thus packed like an autograph or game used. So at times, my heart stopped for a second as I thought there was a chance that I just pulled a Kobe Bryant, Kevin Love, or Dwayne Wade autograph. 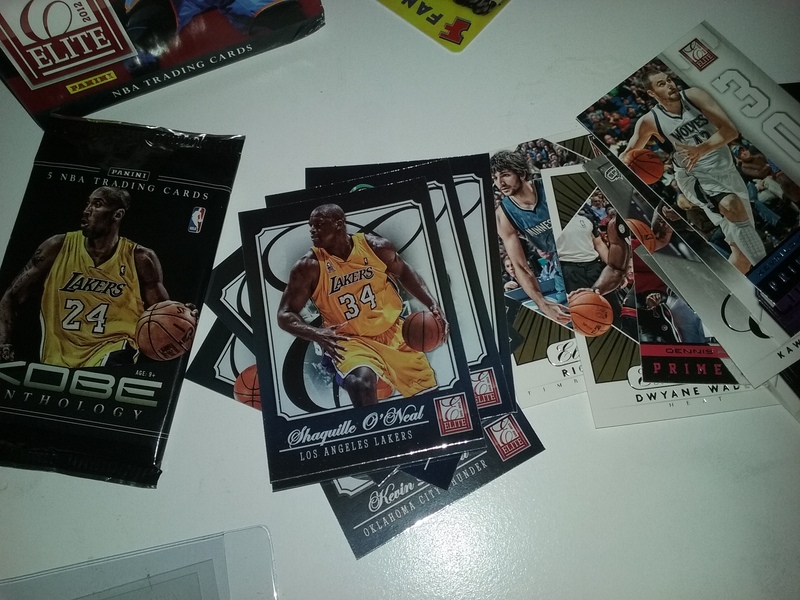 A Kobe pack came in the box, but they were all base. The inserts weren’t so bad. 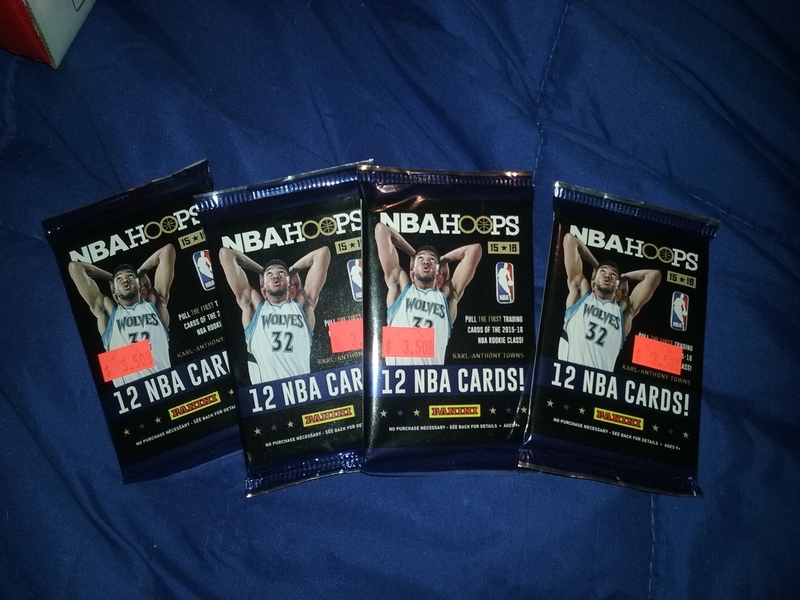 I did pull several numbered cards; notably a Roy Hibbert limited to 24 and Kemba Walker rookie to 599. I ended up pulling some nice autographs though. 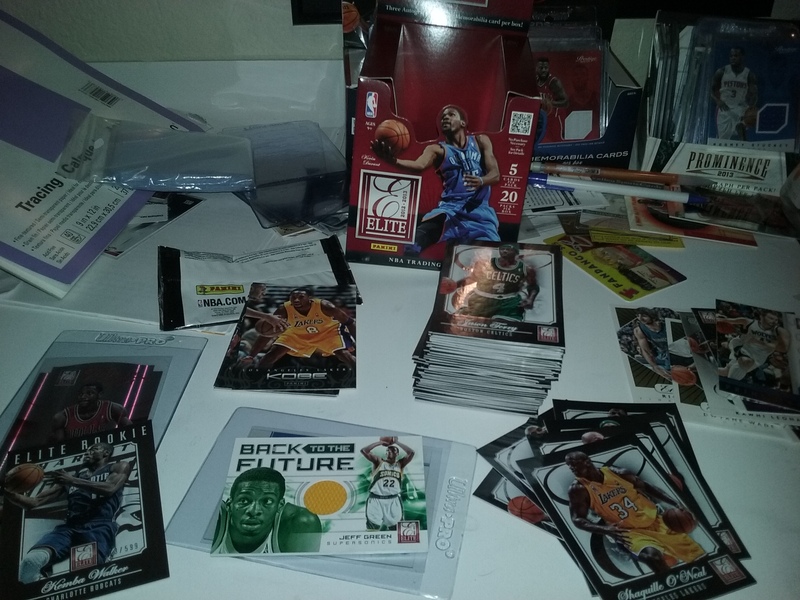 My two weak pulls were a Marquis Teague autograph and Jeff Green game used jersey. I can’t complain about Jeff Green. I don’t officially have a favorite team but I root for both the Grizzlies and Celtics (with the Lakers being the team that I am ashamed to admit I like) and Green has been on the Celtics and is a Grizzlie. The card is also from his days with the Sonics, so that is a plus. The other two hits were money. With the exception of the two number one picks, and Damian Lillard, I couldn’t have asked for two better hits. 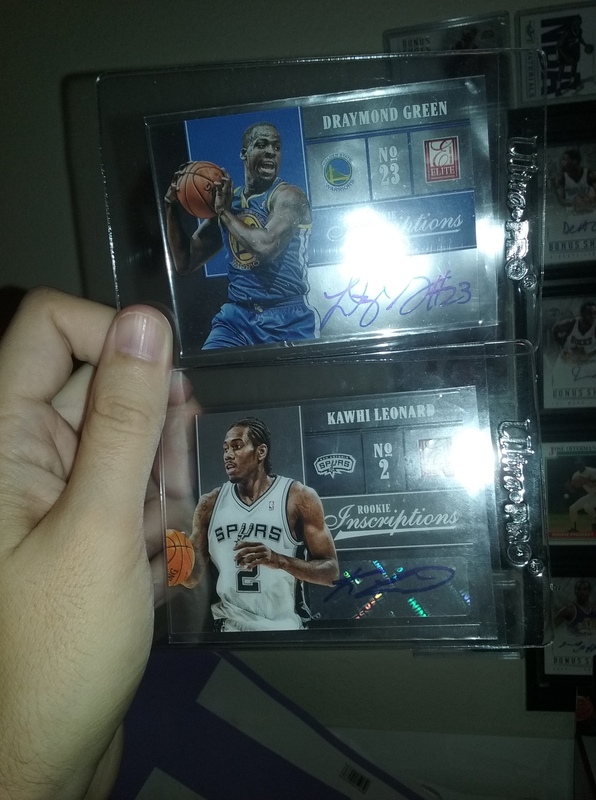 I pulled a Draymond Green autograph and a Kawhi Leonard autograph. Green is one of my favorite players right now because he is a jack of all trades 5 tool basketball player. 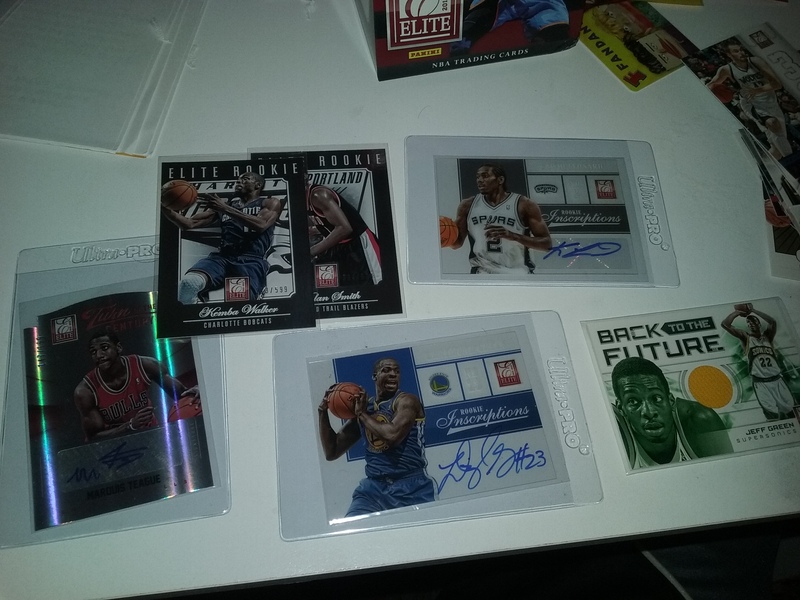 3 are PC hits; I am not sure what I will do with the Leonard autograph. When juxtaposed it is interesting: Green’s is an on card autograph while Leonard’s is a sticker autograph. Both are acetate cards but the sticker kills the acetate effect on the card. I have a great relationship with Alex at Valley Sports Cards. For being a low end customer, he treats me so well. Him and his wife are one of those people where I wish that I could spend hundreds of dollars in their shop. He tossed in 4 packs of NBA Hoops because it was my birthday. I will probably forget what box I got years from now, but I will never forget that gesture. His thoughtfulness put me in such a great state that even though a lot of things went wrong throughout the day, I forgot all about them. 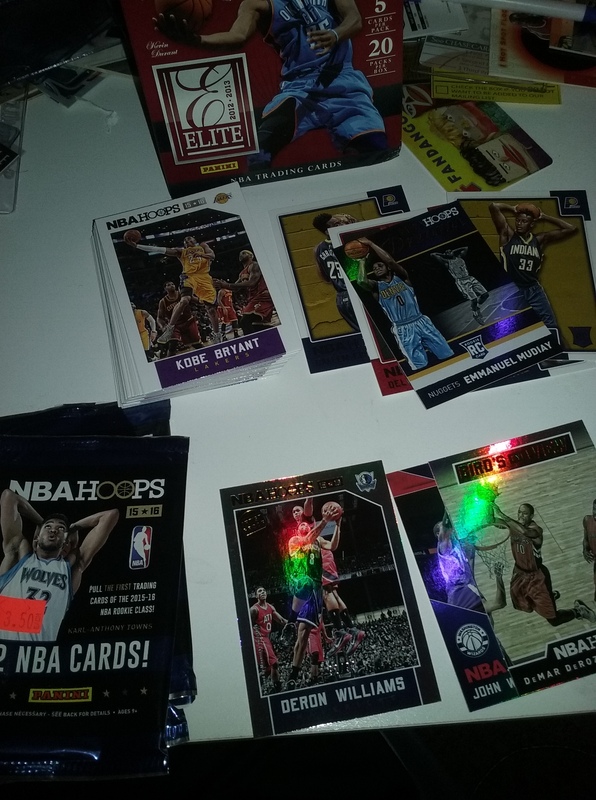 I pulled a Deron Williams card numbered to 99 from the packs. Alex, I know that you read this and I want to thank you a thousand times over.